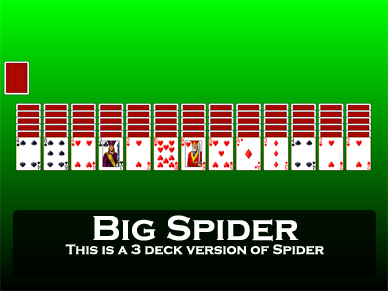 Screen shot of the game Chinese Spider from Pretty Good Solitaire. 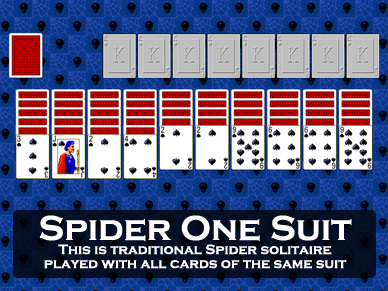 Chinese Spider is a variation of the game Spider invented for Pretty Good Solitaire. Chinese Spider is a four deck game with a twist. There are no clubs in the game, so there are only three suits. 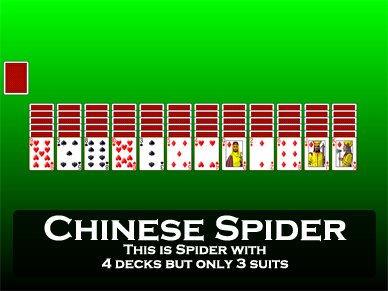 Three suits with four decks mean that Chinese Spider plays with 156 cards. Chinese Spider is very much like the game Spider. At the start of the game, six cards each are dealt to 12 tableau piles, with only the top card face up. The rest of the cards form a stock. Within the tableau, you can build down regardless of suit, but you can only move groups of cards if they are down by suit. Empty spaces in the tableau can be filled by any card. Whenever play comes to a standstill, you can deal a card to each tableau pile from the stock until the stock is empty. The object of the game is to create 13 card suit sequences from King down to Ace. When such a sequence is formed, it is removed from play. When all the cards have been formed into sequences, the game is won. What makes Chinese Spider different from regular Spider is the different distribution of suits. 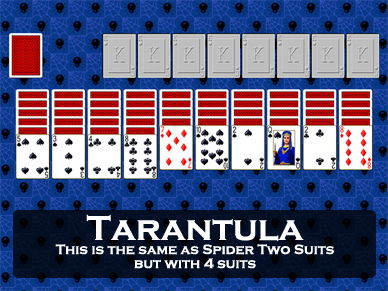 In regular Spider there are four suits and you need to create eight suit sequences (two for each suit). In Chinese Spider there are only three suits, but you need to create 12 suit sequences (four for each suit). 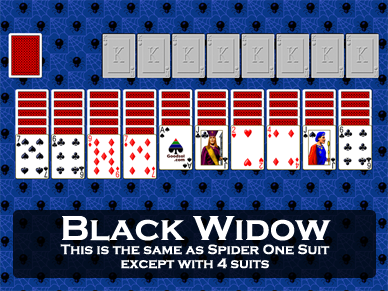 Fewer suits makes the game easier, in much the same way that the Spider One Suit (Black Widow) and Spider Two Suits (Tarantula) games are easier. Chinese Spider is essentially Spider Three Suits, except that there is also a difference in the number of decks. 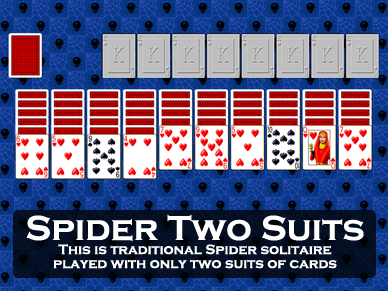 Having four decks of cards instead of just two complicates matters as you have to create additional suit sequences. On the other hand, there are four copies of each card (so that there are four Queen of Hearts, for example) rather than only two in regular Spider. The net effect of all this is that Chinese Spider is somewhat easier to win than Spider, but not as easy as the Spider One Suit or Two Suits games. It gives the player a better chance to win, but is still a challenging game. Another facet of Chinese Spider is that the three suit, four deck composition of the cards matches the composition of a MahJongg tile set. In fact, the composition of the cards makes Chinese Spider very close to a playing card version of the MahJongg tile game MahJongg Spider in Pretty Good MahJongg. There are a few differences between the games because a MahJongg tile set contains some extra tiles that do not have playing card equivalents, but the three suit and four copies composition is the same. This is in fact how the game gets its name Chinese Spider. 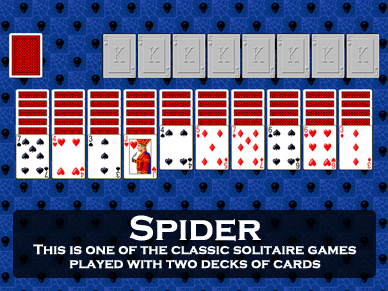 Chinese Spider is one of the over 900 games in Pretty Good Solitaire.